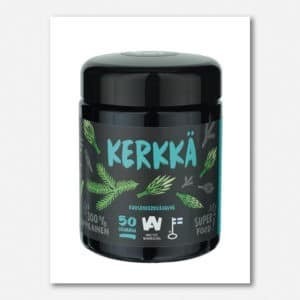 Spruce sprout (kerkkä) powder is a natural vitamin booster to keep the flu and winter blues away. Make sure to smell the jar first. 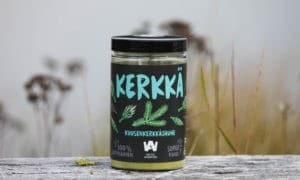 The stunning aroma makes you feel like you were in the forest yourself! Spruce sprouts consist a lot of vitamin A and C and antioxidants. 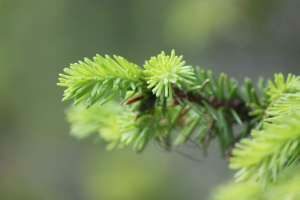 Spruce sprouts are picked from spruce tree at the beginning of the summer be hand. They are best when still light green. Picking of the spruce sprouts requires a permit from the the land owner. Antibacterial Compounds in Predominant Trees in Finland. University of Helsinki 2014.